Maybe go and make a cup of tea before sitting down with this trailer. 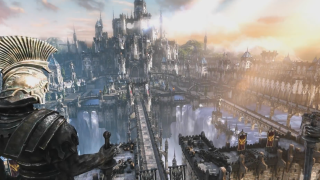 It's a lengthy look at Lost Ark—over eight minutes of footage from the upcoming Korean ARPG. Just be sure to carefully time when you take sips from your beverage. You don't want to do a spit-take as its ostentatious attack animations start to play. Ultimately, it looks familiarly Diablo-a-like, but moreso. Some of its attacks look absurd in the best possible way. And that's just with a single player. The trailer also shows some brief co-op action. As yet, I'm unable to divine a possible release date. This is because the game's official site is a) limited in its information, and b) in Korean. Still, one to look out for.